When Focus Features drops you a line and asks you if you’d like to head to New York City for an overnight stay at the Waldorf Astoria in order to attend a screening and press junket for “Tinker Tailor Soldier Spy,” based on the novel by John le Carré, you don’t think about it. You just say, “Yes.” And so I did. After catching a screening of the film on a Friday night, I got up on Saturday morning to begin the interviews of the day. 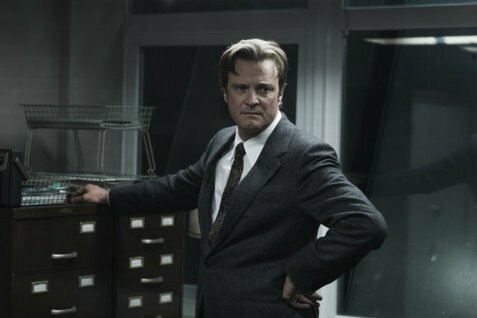 After a roundtable with director Tomas Alfredson and screenwriter Peter Straughan, the two gentlemen left the room, to be replaced a few minutes later by one of the stars of the film, Colin Firth. Journalist: Are you a fan of the espionage and spy films? Colin Firth: I like the good ones, yeah. J: Do you have any favorites? CF: No, not really. [Gesturing toward the journalist sitting next to him.] We talked about this, actually, him and I. He had to help me out. [Laughs.] No, I’m one of those people where, if you say, “Tell me what your favorite music is,” I can’t think of any music in the world. So that’s a difficult question. You throw something at me, I’ll tell you whether I like it or not. But, yeah, I’m a fan. J: Well, we’re all like that. You ask me, and I’d do the same thing. CF: Yeah, I know. Nothing is more guaranteed to draw a blank, I’m afraid. J: In the film, we were trying to figure out exactly who the people up in that big office were. Spy /spī/ noun: A person who secretly collects and reports information about an enemy or competitor. 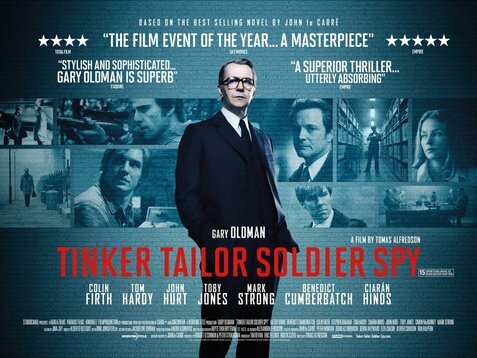 If you should learn one thing from watching the Oscar-touted new film version of John le Carré’s classic of realistic Cold War-era cloak and dagger, “Tinker, Tailor, Soldier, Spy,” it’s that people in the espionage business should not be show-offs. If everyone knows you’re a spy, you’re not doing it right. Nevertheless, documents get released over time, old stories get told, and the end result is that we now know of a surprisingly large number of world-renowned writers, actor, and others who have worked pretty high up, and sometimes rather low down, in the field of intelligence. On the other hand, whether or not some of them were actual spies is a matter of how you define spying. That’s why we like the rather inclusive definition we’ve placed up top. 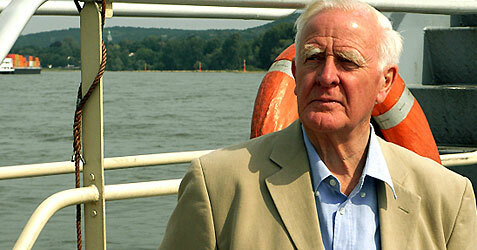 On his website, John le Carré, who worked for several years at England’s MI-6 and whose real name is David Cornwell, at first tells us he was not a spy at all, but then jauntily describes himself as a “spook” four paragraphs later. By any name, spies are cagey. While a lot of these people were probably mainly bureaucrats, we’d add that the same thing could be said for le Carré’s most famed protagonist. Whether portrayed by Alec Guinness in the 1979 television adaptation or newly embodied for the big screen by Gary Oldman, the seemingly gentle and harmless George Smiley is a man one underestimates at one’s extreme peril. In any case, some of the notables below were pretty deep in the trenches of the spy game, and some probably even killed people. Some may not really have been involved with intelligence at all, we can’t be sure. That’s one thing about dealing with espionage – it’s like it’s all supposed to be a big secret or something.